The Essential Elements Required to Achieve Success With ERP Change Projects. In a new trilogy of blogs, Lee Ann Healy, Managing Partner discusses the essential elements required to achieve success with change projects. Focusing on ERP but applicable to all change projects, this series will explain an approach to change management that provides the best chance for success. First up, People. In the business world, we are consumed with digitalisation and constant technological advancement. Cloud technology, big data, internet of things, social media, mobile apps, the list goes on and on. A few years ago, Gartner dubbed the combination of these technologies as “the Nexus of Forces”, and business are still grappling with these changes and how to realise the business opportunities. It is not unfathomable to picture a near future where we are all commuting to work in driverless electric cars, whilst simultaneously analysing the minutiae of the previous days’ business activity on a cloud ERP mobile app. These advancements are designed to make our working lives easier, more efficient and more analytical. But transformation, even digital transformation, really depends on people, not technology. Technology is just the enabler. From the boardroom to operations, from finance to customer service, it is the people in the organisation who will make or break a transformation or ERP implementation. Our experience as Business Partners for Change has taught us that when a business embarks on a project such as an ERP project, it must resist the urge to begin with a focus on technology. 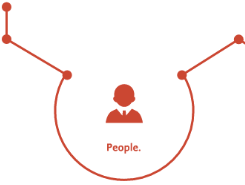 The path to success requires a holistic focus across People, Processes and Systems. Your ERP implementation is more than a technology initiative. Software alone does not deliver benefits – people do! According to almost every major study, the majority of contributing factors to failed ERP projects all boil down to a lack of communication, support and awareness towards the impact on your workforce. Any ERP implementation or digital transformation means a lot of change for people. They have to work differently, think differently, collaborate with colleagues and suppliers differently and learn new tools. And we all know that people don’t like change. The fear of change results in resistance to change. And change management is all about alleviating those fears and breaking down the resistance. When you take the time to involve the workforce who will be working with an ERP system from the outset of a project, you create the best chance for employee buy in and that in turn creates the best chance for a successful ERP implementation. Note: from the outset – not once the requirements, design and build are complete! Listening to your workforces’ experiences and knowledge of their roles as well as how the current systems and processes work for, or sometimes against them, can highlight where change and improvement is required. This creates an environment of inclusion and breaks down the resistance to change. Our approach ensures a focus on People from the start, and ensures the focus is maintained throughout the project lifecycle. Keeping people engaged and involved throughout – rather than just near the end when the system is ready for testing and training. How often have we seen that happen? How often have we seen that fail? We provide ongoing change management support, easing your workforce into the implementation of new and improved processes and systems. This support continues as employees become more comfortable with new software, new processes and new roles and responsibilities. And that brings organisations closer to achieving a high ERP ROI. A lot of our engagements start with our ERP Health Check. A one day overview where we can provide insight and advice on what is the best way forward for your people, processes and systems. 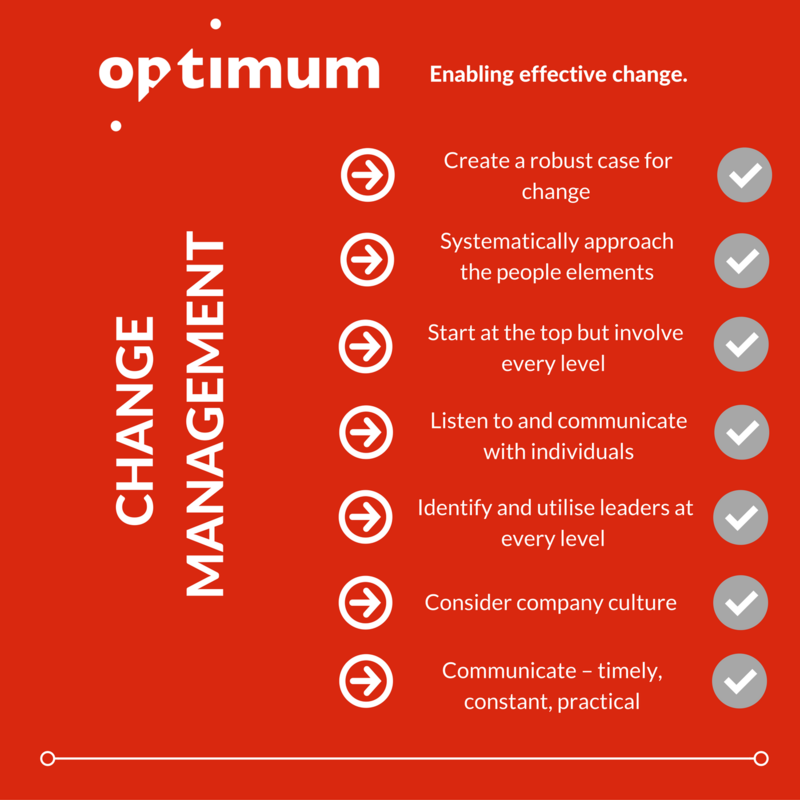 So if you’re looking at implementing a new ERP system, or if you’re struggling to see the benefits of an existing ERP implementation – start with an Optimum PPS ERP Health Check to set you on the right path for change.